There's lots of really important information on this page, you may be familiar with some of it, so to help you navigate to what you are looking for, please select from the following options, or you can scroll down at your leisure. 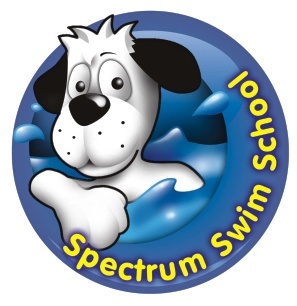 Following the guidance from Swim England (Spectrum’s swimming lesson’s governing body) swimming teachers will be teaching their lessons from poolside for lessons Stage 2 upwards. The assistants will remain in the water as before. Swimming Teachers who achieve their Level 2 Certificate are trained to teach from poolside as long as is safe to do so. Each lesson is individual and understandably there will be some occasions where the teacher feels it is the safest option to be IN the water however this should be based on each situation and not as a blanket rule. The decision to remove the Level 2 Teacher from the water has been discussed with the teachers themselves who are all comfortable with the changes. It has been noted that there will be an adjustment period for the children in the first couple of weeks and expect that some will be more confident than others and therefore have briefed the teachers that in some circumstances it may be safer and more effective to remove teachers from certain lessons gradually. Please understand that this change has been thoroughly thought through and is going by the guidelines set out by Swim England. If you have any questions please contact 01483 44 33 22. Swimming Hats have been introduced for ALL Swim School participant. You will be expected to bring the hat to every lesson. The latex swimming hats will be colour coded for each stage and the first hat will be given FREE of charge to all children in their CURRENT stages. The hats will be compulsory for every lesson and children are expected to have them fitted before the lesson starts. Please understand that teachers will not be expected to use lesson time if they are repeatedly being taken off (there will be spare hats on poolside for emergency use). We are aware some will not be able to wear the hats due to allergies - we are currently looking into an alternative solution, until then please do not feel required to wear it. We appreciate that there will be some children who will not want to wear the swimming hats however this change is a positive step in safety, organisation and another sense of achievement when the child is ready to move up and receives their new colour hat. When a child is moved up to the next Stage the hat will be given FREE of charge however there will be a fee of £1.00 for those lost or damaged. As you will all have noticed, the expansion of the Swim School has created VERY busy pick-up/collection points both at the entrance to the competition pool and the teaching pool. In order to ensure the safety off all participants and to avoid a blockage of people in both areas we would ask that you do not arrive too early for your lessons and hold off from standing at the areas until only a few minutes before your lesson is due to start. Please could we also take this opportunity to remind everyone of the importance of NOT leaving your child alone on poolside before/after your lesson. The age for a child to be in the water alone is 9 and therefore anyone under the age of 9 should be accompanied by an adult at all times, we also request that an adult/guardian is always in the building for the duration of the lesson should the child need the toilet or any extra attention during the lesson. Please ensure ALL children are wearing the appropriate swimwear to their lessons e.g. swimming costumes, boys shorts (ideally not board shorts as this can affect their kicking) and hair tied back. We appreciate your cooperation with ensuring all lessons in the Swim School operate effectively and productively. 2) Waiting lists for courses that are currently full are open for customers to leave contact details for future enrolment. We regret that reservations are not possible and bookings can only be made with payment. Swimmers/parents will be able to spread the cost of their lessons by choosing to pay by direct debit. The monthly payment is made up of 11 equal payments between September and July, followed by a small payment in August to maintain the continuous nature of the direct debit payment. Please view September 2018 to August 2019 swim school payment options. Please see calendars below when Swimming lessons operate throughout the year. Swimmers will undertake continual assessment against the criteria set out within the stages of the Swim England National Plan. Once a swimmer has demonstrated a satisfactory level of competency in all elements of the criteria then they will be recommended to progress to the next stage within the programme (this will be facilitated subject to the availability of suitable space). Learn to swim outcomes for stages 1 - 7. You can now monitor your child's progress online using the Home Portal. Swimmers paying for their lessons by monthly direct debit will gain Swim School Membership. A benefit of this membership includes FREE* Swimming. *Terms and Conditions apply. Includes use of all pools within Swim for All sessions Monday to Friday (term time only) and includes Surrey state school inset days. These sessions provide children with individual attention and a faster learning rate. They can focus on either specific swimming skills / stroke technique or follow the relevant stage in the Swim England syllabus. 1:1 or 1:2 lessons are available during term time and also throughout all holiday periods. Payment for 1:1 or 1:2 swimming lessons must be made at the time of booking.